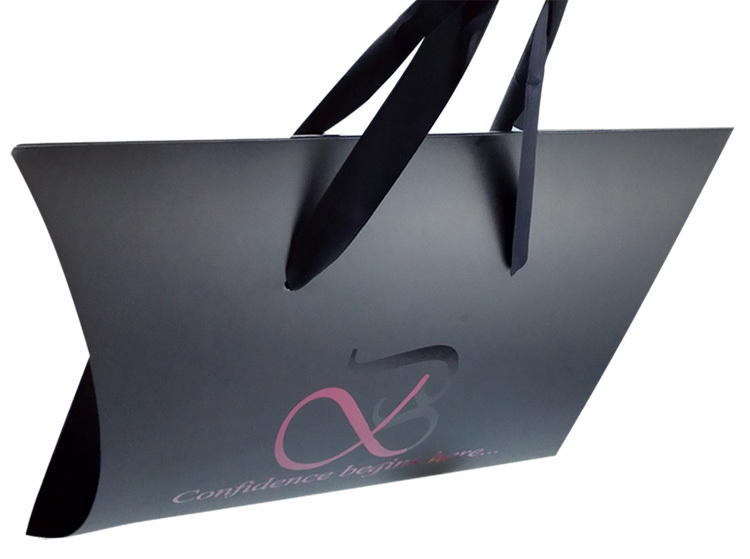 The Black UV Paper Pillow Box With Handle is one of our main products. In general, it will be use as underwear, pajamas, t-shirt and scarf package. The Black Pillow Box is made of 300gsm Clay Coated News Back paper. It is very recycled. 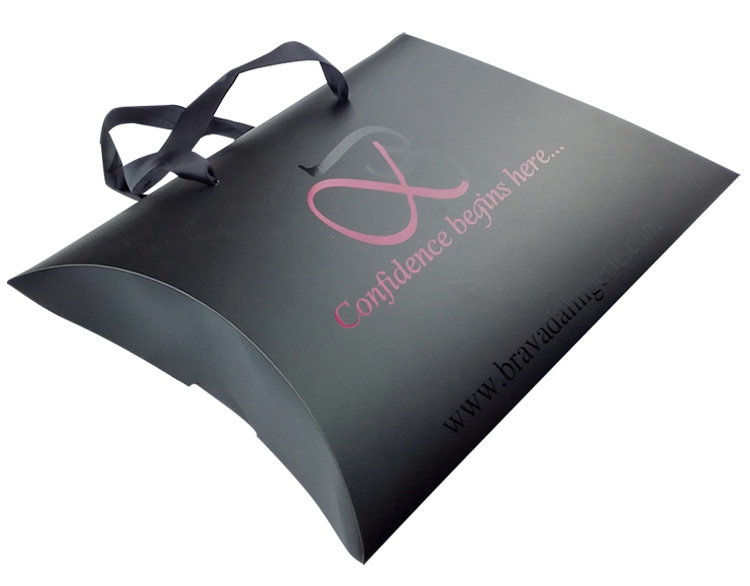 The Pillow Box With Handle can be carried easily. 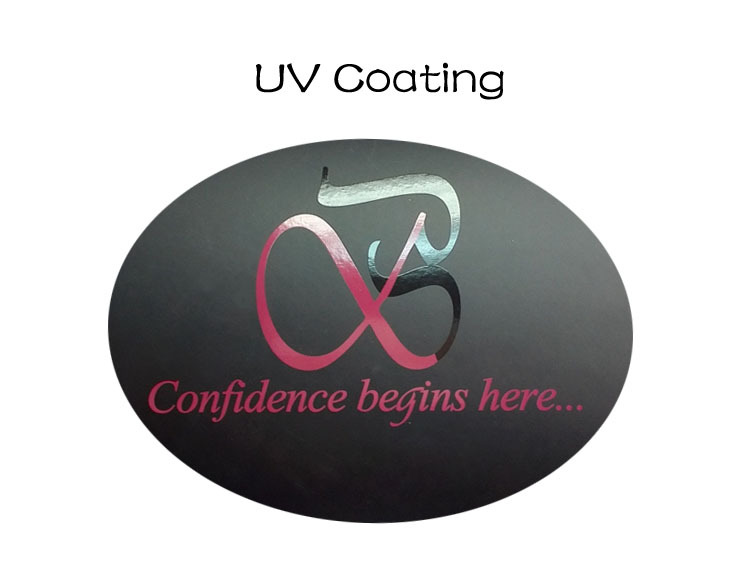 In addition, its logo is spot UV handling. 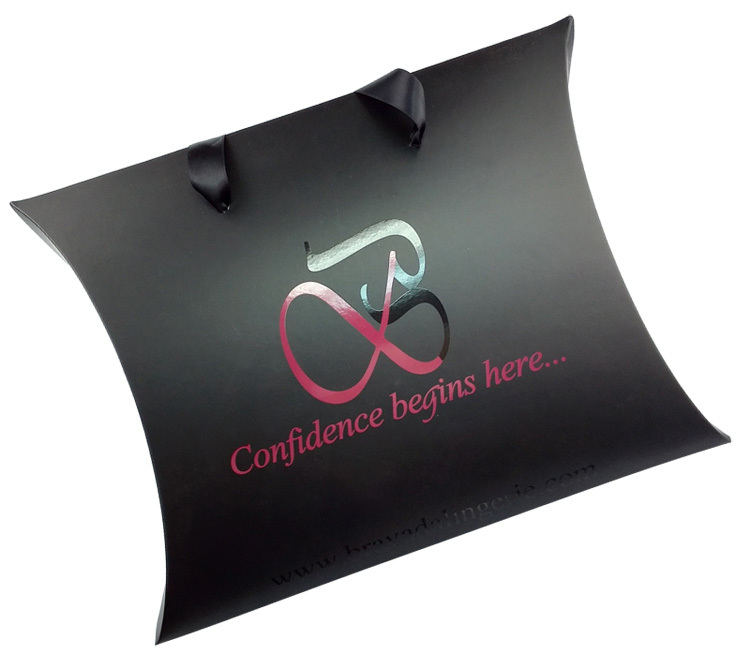 Make the logo on the matted lamination pillow box is bright. It is very attractive. 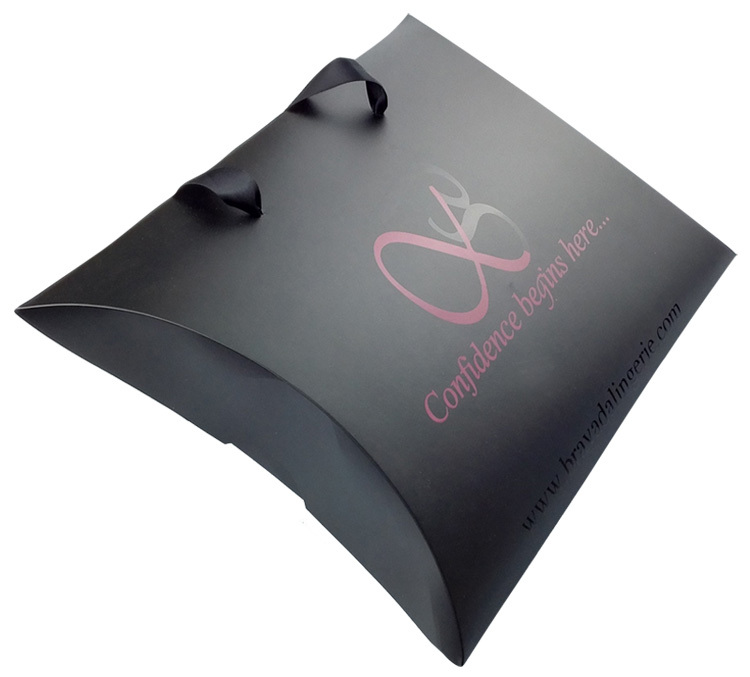 Looking for ideal Black Pillow Box Manufacturer & supplier ? We have a wide selection at great prices to help you get creative. 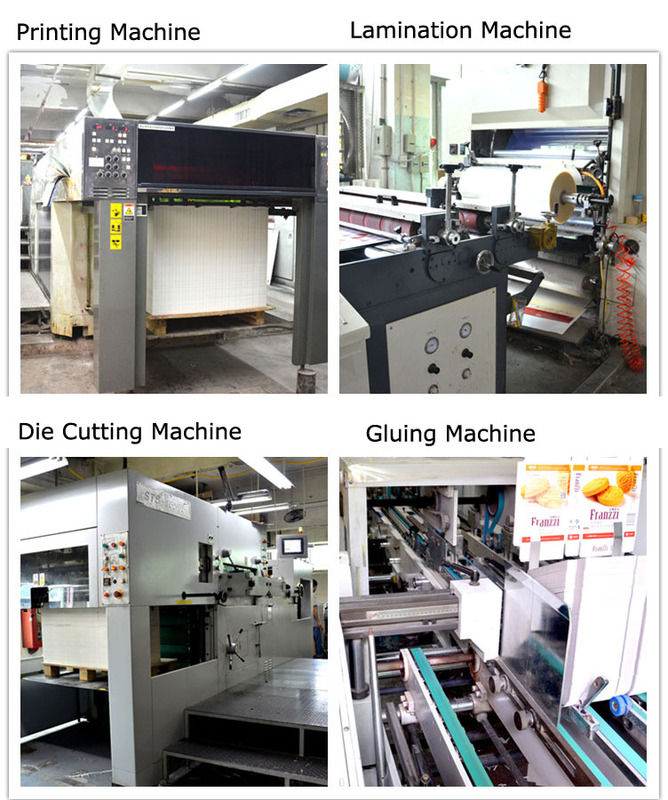 All the UV Pillow Box are quality guaranteed. 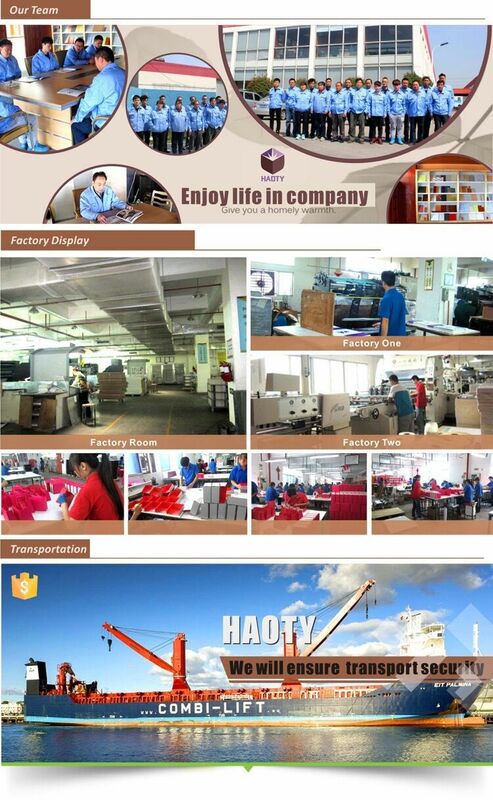 We are China Origin Factory of Pillow Box With Handle. If you have any question, please feel free to contact us.